Among other musical instruments, Rabab was one of them that Rumi loved it so much. 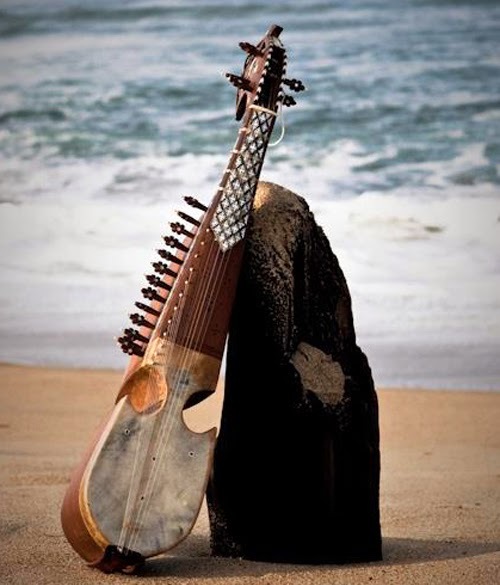 Rabab was one of the main instruments that was played in Khanqah (the Sufi lodges). Up to the present time, Rabab remains an influential instrument in Khanqahs, and other Sufi gatherings in Afghanistan. He probably liked Rabab because of its rhythmic sounds. Rabab produced the sound of ecstasy, when its sounds reach the ceiling, it echoed throughout the lodge, and a melody of ecstasy reverberated through the souls of Sufis. Then, they were not in themselves, they were floating over the sounds of Rabab, and went beyond what they called the mystical ecstasy. "Do you know what the voice of the rabab is saying? Since through questions you’ll end up with answers."